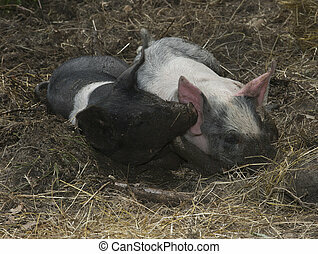 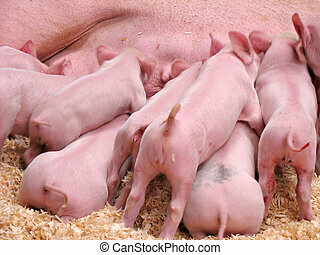 Hungry piglets. 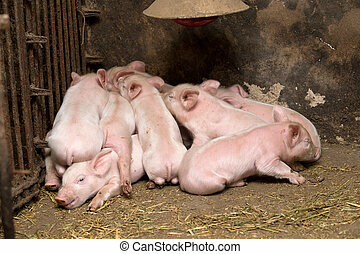 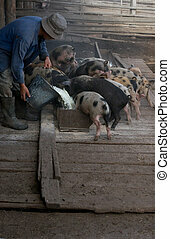 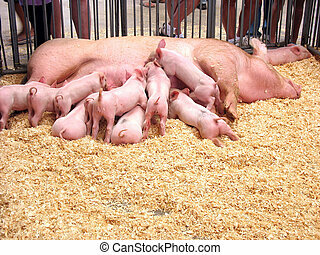 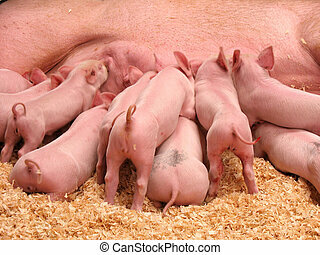 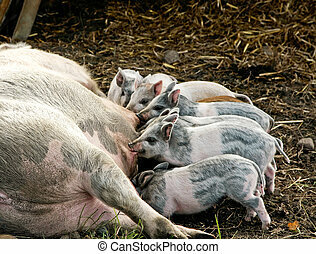 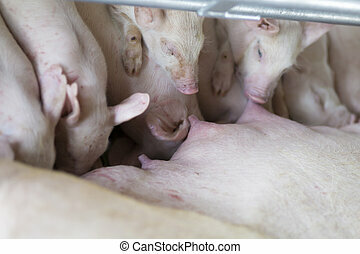 A group of hungry piglets fighting to get their fair share of milk. 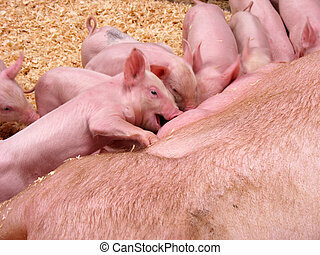 A group of hungry piglets fighting to get their fair share of milk. 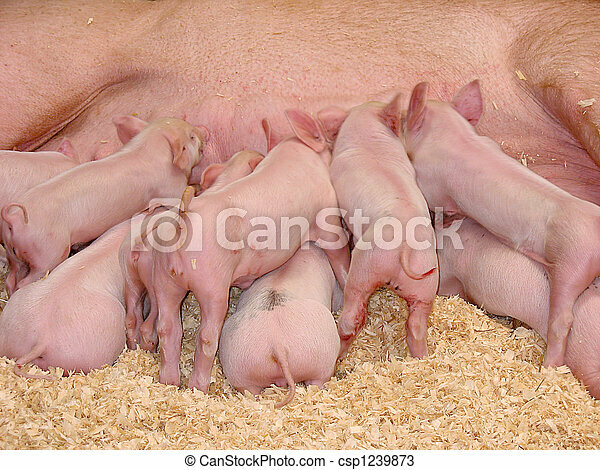 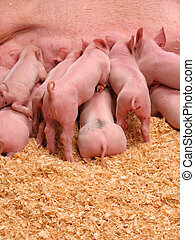 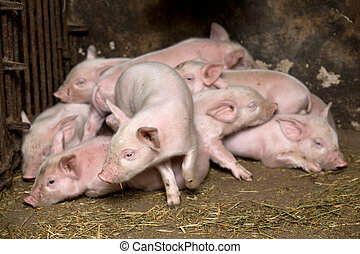 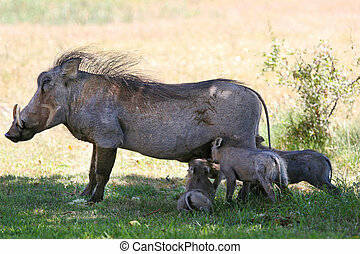 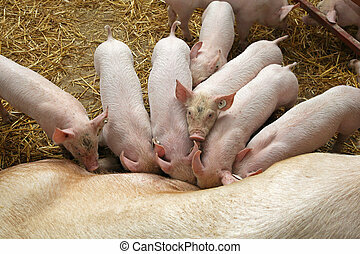 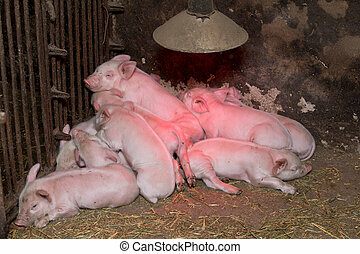 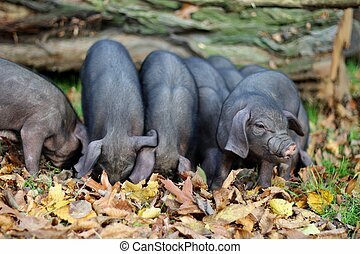 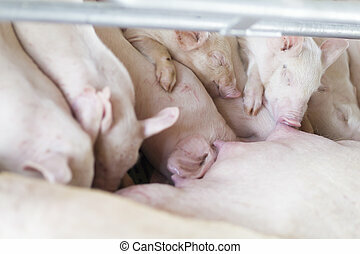 A group of hungry piglets fighting to get their fair share of lunch. 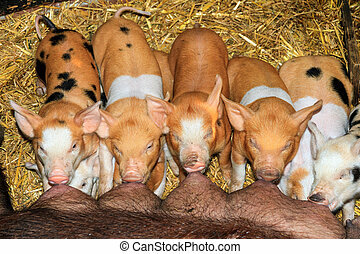 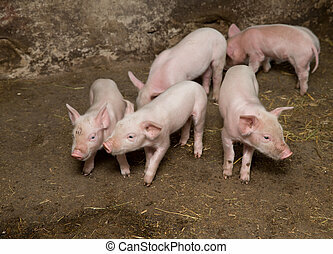 A bunch of cute piglets all lining up to eat. 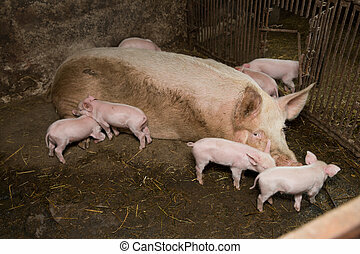 There is slight motion blur on the face main piglet at 100%, as he was going crazy to grab a bite to eat.